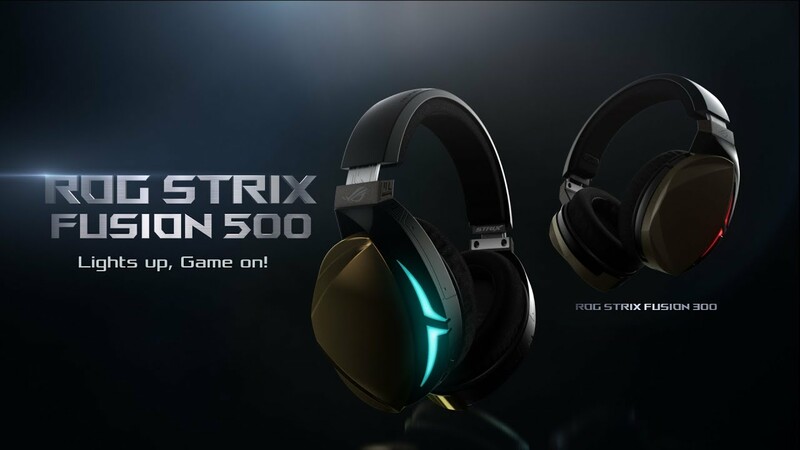 ROG Strix Fusion 500 turns your gaming up a notch, with exclusive headset-to-headset RGB light synchronization technology so your MOBA or E-sports team can crush the competition in perfect sync. ROG Strix Fusion 500 features a hi-fi ESS 9018 DAC and a 9601 amplifier for more realistic audio, as well as a 50mm ASUS Essence driver, exclusive airtight chamber technology and Bongiovi 7.1 virtual surround sound. Get ready to shine on the battlefield! Strix Fusion 500 delivers incredibly strong bass thanks to 50mm custom-tuned ASUS Essence drivers, fitted with metal covers rather than conventional plastic for purer sound with less distortion. Build a unique team vibe at LAN parties or tournaments with exclusive headset-to-headset Aura RGB light synchronization. Simply activate Bluetooth on your mobile and connect your ROG Strix Fusion 500 headset, then sync to other connected headsets with a simple tap on the dedicated app. Easily adjust volume and other commonly used settings on touch plate. Traditional leather or fabric ear cushions can compromise either comfort or sound quality. Strix Fusion 300 uses exclusive no-compromise ROG Hybrid ear cushions that combine protein-leather and fabric mesh for the ultimate comfort during marathon gaming.